Machinery is increasingly used in the newspaper industry, which directly affects the work of reporters and editors. Let’s discuss with Shaping Futures about this and assess how it will impact our future? About a third of the content published in Bloomberg News is automated technology. The company’s Cyborg system can assist reporters to produce thousands of articles and report the results of companies in each quarter. No tired, accurate, and not complaining, Cyborg helped Bloomberg in the race with Reuters, a direct competitor in the field of business financial journalism. More and more newspapers use artificial intelligence to serve their work. 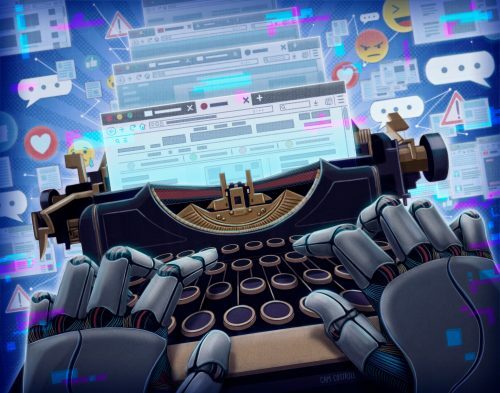 Last week, the Australian version of The Guardian published the first article supported by robots; and Forbes recently announced that they are testing a tool called Bertie to provide reporters with a rough draft of the articles. The use of artificial intelligence is becoming part of the journalism industry, but this is not a threat to reporters. Instead, this idea allows journalists to spend more time on real work. A.P., The Post and Bloomberg also set up internal alerts to signal anomalous data bits. Reporters who see these warnings can write bigger stories. For example in the Olympics, The Post has set up Slack alerts, the workplace messaging system to notify editors if the results are more or less than 10% of the world record. AI becomes a productivity tool in reading reports and finding clues. When performing data analysis, AI can help detect abnormal factors. According to Marc Zionts, the chief executive of Automated Insights, machines need a long way to replace flesh-and-blood reporters and editors. With the purpose of ensuring AI’s future, the Michael Dukakis Institute has launched the AIWS Initiative, including the AIWS 7-Layer Model for ethical AI and concepts for the design of AI-Government, which has received the support of Paul Nemitz.